Forget leotards, the activewear and mirrors – grab your togs and hop in the pool for the best workout you’ve ever had. Aquarobics is suitable for men and women of all ages and physical abilities. It is ideal for people recovering from injuries or surgical procedures as well. The warmth and support offered by the water is the perfect environment to exercise. 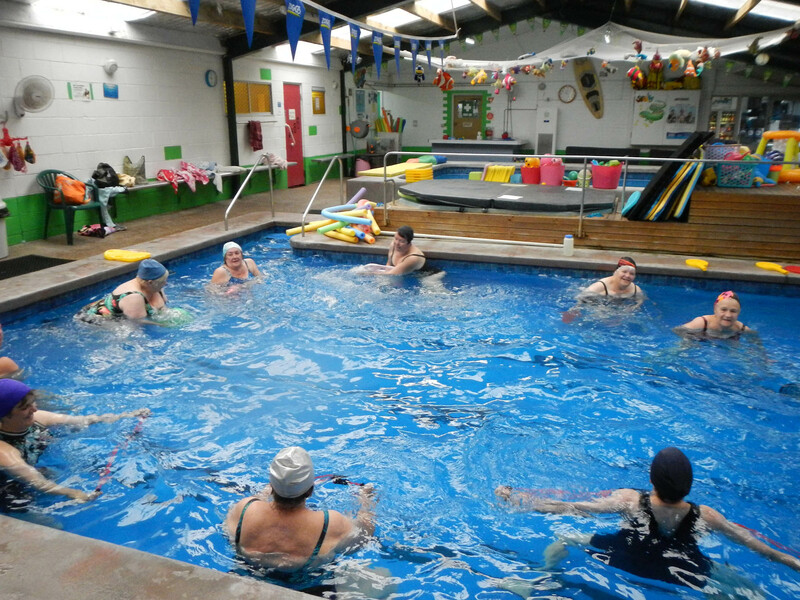 FOUR fantastic classes each week, multi-level, no swimming skills required. And at only $8.00 per class, this one hour workout includes Spa or free swim time. We use a wide variety of equipment to help you get the best possible workout. Dumbells, Noodles, Paddles, Stretch Cords, Boards and inspirational music – just for you! All Class Leaders are Qualified Aquarobics’ Instructors. DISCOUNTS FOR SENIORS CARD, FOSTER CARERS and UNI STUDENTS ID – SAVE $1 per class!